What a find in Greer! 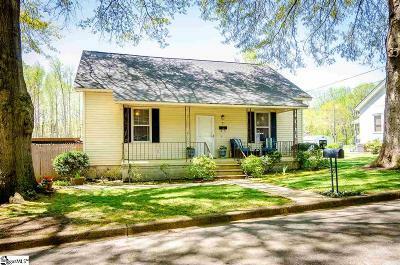 Located in the Greer Mill Village A Hard to find 3 bed 2 bath home just a mile from downtown Greer! The master bedroom features it&apos;s own bath and a walk in closet. The living room is spacious and the kitchen too! You have a mud room off the kitchen and a back deck! Spend your mornings on the front porch and your evenings grilling in the back yard. This home is ready to make your own. Roof was re-shingled March 2019.